When I was 15, my family lived in Europe. My room, at the far end of the house, opened onto a patio through French doors that you could unlatch with a butter knife. I decided it would be fun to read Dracula late at night, after everyone else had gone to bed. Dumb – really dumb! I know I’m not the only one to seek the thrill of a scary movie or book and get a whole lot more than they bargained for. Let’s just say that for weeks after that, I took a clove of garlic to rub the French door frame every night before bed. When I first went to college, we had a saying: “Wherever two or more are gathered, they will start a film society.” Friday nights on campus, I watched, Nosferatu, 1922, which made Bela Lugosi’s count seem tame. Then there was Carl Dryer’s 1932, Vampyr, a movie whose plot I have never been able to decipher, but whose haunting imagery gives a truly creepy feeling of being in a coffin and seeing the face of the vampire who killed you peering through the glass in the lid. The young protagonist of Vampyr. Is he really dead or only dreaming? Dracula's better halves? Don't you believe it! 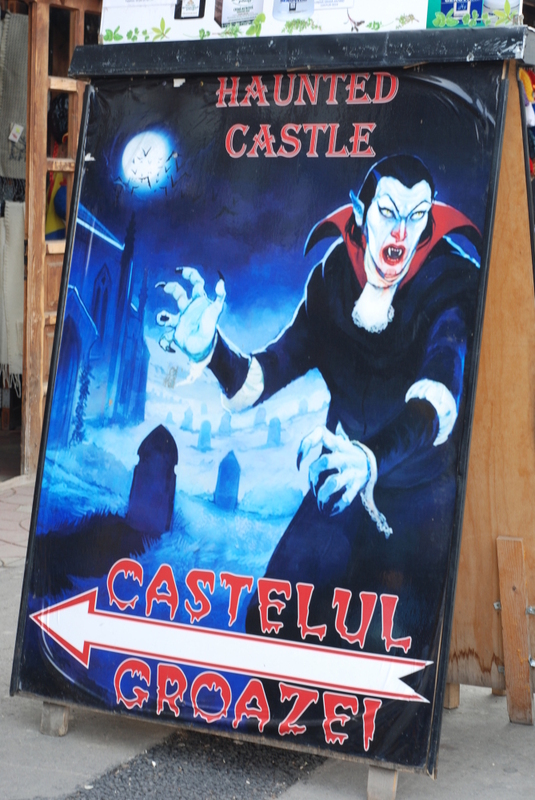 But alas, we are so besotted with undead who love poetry and walks on the beach that not even the current owners of Bran castle in Romania, the one that inspired Bram Stoker, are immune to draw of vampire fandom. This entry was posted in Characters, Culture, Fantasy, Movies, Novels, Writing and tagged authors, Culture, fantasy, horror, movies, Novels, postaweek2011, writing. Bookmark the permalink. I lost hope in the vampire lore when I heard that they’d begun to sparkle under beams of sunlight – bedazzled vampires, really? I suppose you COULD call that “creative license”. Or you could call it ridiculous. It also begs the question – what will be next? I might put my money on Greek/Roman mythology. That’s a really interesting idea I hadn’t thought of. Greco-Roman lore is a rich field, largely untapped in contemporary fiction. It’s full of love, battle, monsters, and terror, and a key thing in my opinion – writers would have to research primary sources rather than simply borrow from other best sellers, which I think is a huge factor in whether a fantasy is likely to be worth reading or not. Some time ago – and I forget the publisher – there was a series of retellings of classic fairytales. I read several and enjoyed them. These were by authors like Robin McKinley, Jane Yolen, and Patricia Wrede, who merged contemporary sensibilities with respect for, and knowledge of the old tales. I can only remember a couple of adult fantasies that were set in ancient Greece or Rome, so your suggestion is really an untapped goldmine for any writer of fantasy who is looking for something that hasn’t been done to death. Plus it brings back happy memories of youthful saturdays – watching gladiator movies with my friends and then going out to battle with stick-swords…. 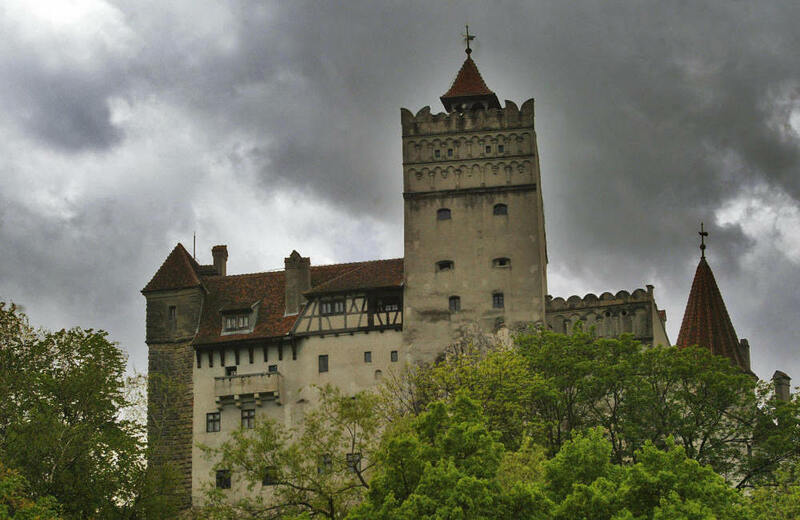 Actually there are several castles in Romania that would be far more inspiring than Bran. I lived there for about a year and heard many a tale, Vlad is probably most noted and in Targoviste was heralded as saving the city during the turkish invasion. Thanks for your comment, JT. I really know nothing of Romanian castles, and my info in this post came from the NPR interview. I had heard that invaders wisely steered clear of Vlad’s territories. It’s very interesting to watch how trends in fiction can change over time. For example, in Fantasy novels it’s interesting to watch how they are shifting from being fairly generic copies of Tolkien’s world to where there are a lot of very unique and different worlds in Fantasy novels (which I think are highlighted by Sanderson’s writing). Vampires are another group that is obviously evolving in fiction – with Twilight serving as the example of how they have completely jumped the shark. Yes Dracula is the original, but look at some of the other variations of vampires in fiction (and I’m sure I’m going to miss quite a few of them, these are just the ones that I can think of offhand). The Blade movies had a different take on vampires, setting them up as ravers and very social as opposed to the solitary figures they are in other works. Interview with a Vampire also had kind of emo vampires (I’ve only seen the move) but isn’t blamed at all for being a predecessor to twilight. Monster Hunter International by Larry Correia is another recently published book (published after Twilight) where there are vampires that fall back into the more traditional mold. Twilight is a very popular series right now, even though the writing isn’t the best (as I’ve heard in several places, I haven’t read the books). In 20 years noone will remember Twilight and we can go back to having vampires be the monsters they were originally meant to be. I had forgotten Anne Rice entirely, but you’re right, she set vampire tales rather seamlessly in the moody, shadowy, deep south. I’ve enjoyed other other retellings of vampire stories as well, like the, The Lost Boys, and the tongue-in-cheek quality of Buffy too. I really have no problem with Twilight, either. Though I haven’t read the series, I know the premise, and it’s certainly an original vision. It’s just that some of the followers and wannabes seem to have taken vampires in to the realm of the cute. Next February, will we have vampire Valentine movies on the Hallmark channel? You’re right – it does seem to take a decade or two after a genre gets glutted for someone to come in with a fresh vision, the way George R.R. Martin has revived “sword and sorcery” tales. I think there are two issues here. One is that the movie industry thinks everyone needs to be pretty, guys included, acting skills are seconday to looks. The other issue is that, in an era of way-too-cool special effects and generally poor script writing, the really good psychological thriller has been lost. I love the old vampire movies/books/stories, (Even Plan 9 From Outerspace was good for a laugh) Lost Boys was great, but the recent stuff is just ho-hum. Have I become jaded? Unable to change with the times? Too old for a good romance? I don’t think so…I just long for quality. I know what you mean about the old classic monster movies. My favorite is still the Lon Cheney, Wolfman. “Even a man who’s pure in heart and says his prayers at night…” I learned that as a kid and have never forgotten it. These days I tend to look first at the books coming out. Twilight had an original premise – a vampire theme retold as unrequited love, legitimate enough for YA, since I don’t suppose anyone escapes their teen years without at least one such episode. The problem in the literature is that “paranormal romance” flooded the field and more or less took over YA. I’m a Vampire fan….anything vampireffic in it…I’m there. I follow all the Vampire series out there….and the movies , old and recent…I’m on it too. So, imagine me having a blast with this post. Really cool! I haven’t dug that far into the roots of vampire stories, but I gather it’s pretty ancient and probably pretty interesting. I don’t read much in the vampire genre, but some years ago I went through a long period of reading Stephen King and, in the process, read Salem’s Lot, which made me believe, at least for a little while, in the existence of vampires. Your story of rubbing the door frame with garlic reminded me of just how scary that book was. Ann Rice didn’t do it for me. I thought her book Interview with a Vampire made a pretty good movie but was a lousy book. I’ve never read Dracula. Maybe someday. Thanks for such a fun post. A quick glance at Wikipedia confirmed my belief that vampire legends are ancient. There are versions from Mesopotamia, the ancient Hebrew, the Greeks, and the Romans, but the modern stories derive from southeastern Europe in the 18th century. Apparently there was a mass hysteria at the time, which resulted in instances of corpses being dug up and staked. It was that whole mythos that Bram Stoker tapped into.